This is a press release stating why these women faith leaders are calling for better oversight of chemicals in cosmetics and what they believe should be done. Chloe Schwabe, environmental health program manager at the National Council of Churches, said “Scripture tells us that we were made in God’s image. Yet when we use personal care products such as lotion, deodorant, and body wash we apply an average of 100 chemicals on our body daily which are linked to chronic disease, cancer, and reproductive harm. In order to protect God’s handiwork, we must reform the 1938 Cosmetics law so that the FDA can guarantee the safety of everyday cosmetics.” To read this entire press release, click here. 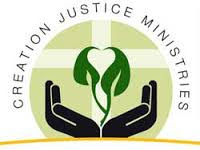 Environmental Health and Toxins Initiative is a campaign from Creation Justice Ministries. It focuses on providing education and advocacy opportunities for people of faith on environmental health issues. To learn more about this campaign, click here.